This is not a wedding fayre this is a one day bridal sample sale. 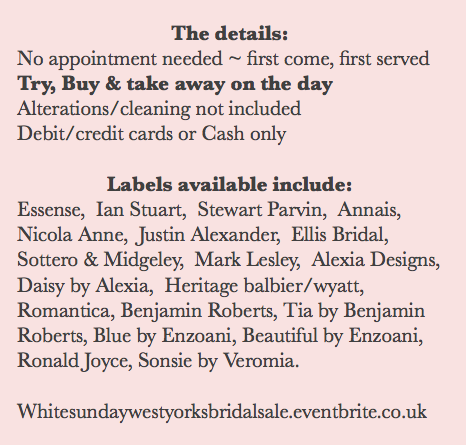 We are s excited to be taking part in this bridal sale along with 3 other local bridal shops to bring West Yorkshire brides a huge selection of fabulous labels at huge discounts under one roof. Four shops combining to bring you one massive bridal sale.